On Tuesday 30th October 2018, the Royal Automobile Club will host a series of Motoring Lectures at its Pall Mall clubhouse in London, bringing together some of the finest experts in the field of motoring and motorsport. The Royal Automobile Club’s Motoring Lectures is an annual event which takes place during the Club’s London Motor Week –a series of events running from Monday 29th October to Sunday 4th November, encompassing a host of motoring dinners, book and engineering awards, a motoring art exhibition and a motor show. The Lectures, which are available to both members and non-members, provide access to some of the biggest names in the industry with the opportunity to hear their expert advice and experience first-hand. Allan McNish – Former Formula 1 driver, FIA World Endurance Champion and three times Le Mans winner, Allan is currently the Team Principal for the Audi Sport ABT Schaeffler Formula E team. In this talk he will discuss developing technologies used in Formula E.
Stuart Gibbard –Acclaimed author and tractor expert, Stuart Gibbard will reveal the symbiotic relationship between Aston Martin cars and David Brown tractors in his talk, “The Power Behind the Glory”. Several famous sportscar manufacturers had links with the farm tractor industry, but in most cases the connection was superficial. However, the relationship between David Brown and Aston Martin was more complex and the tractor manufacturer had a direct impact on developments at Feltham and Newport Pagnell. Roger Crathorne, Nick Rogers and Michael Bishop from Land Rover Classic in conversation with Michael Quinn – The world’s foremost expert on the Land Rover marque, Roger Crathorne is known simply as “Mr Land Rover” in recognition of his 50 years at the company. He will be accompanied by Nick Rogers, Executive Director of Product Engineering at Jaguar Land Rover and Michael Bishop of Land Rover Classic, collector and restoration expert. The trio will be in conversation with Club member, Michael Quinn, Patron of Jaguar Daimler Heritage Trust and member of the Royal Automobile Club’s Veteran Car Run Steering Group and Heritage Working Group. Michael is also the grandson of Jaguar founder, Sir William Lyons. Bob Owen – Head of Legislation for the Federation of British Historic Vehicle Clubs, Bob is a trained lawyer, former Director of Westland Helicopters and Chairman of Yeovil Car Club. In his talk “Yesterday’s Cars on Tomorrow’s Roads”, Bob will explore changing legislation relating to classic cars and its future effects. This year’s event will be held in the Mountbatten Room in Pall Mall from 10.45am to 3.50pm. Tickets cost £20 for members and £27.50 for non-members, including a buffet lunch. The dress code is jacket and tie. Booking early is recommended as places are limited. 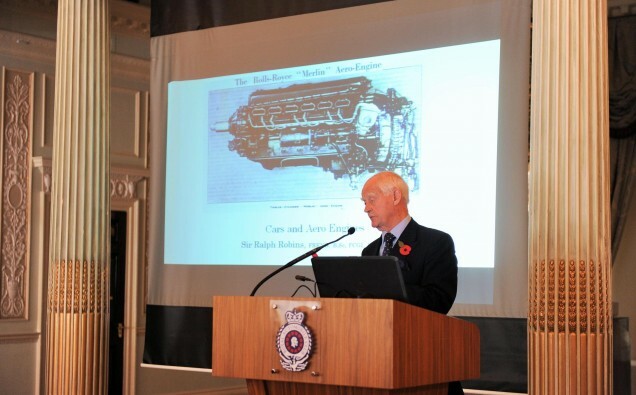 Non-members can book through Eventbrite searching for “Royal Automobile Club Lectures”, while members can book through the Club website.